Physical activity is a very important part of a healthy lifestyle. Many people think of physical activity as just exercise. Exercise is one type of physical activity. But physical activity also includes other activities that involve moving your body and are done as part of recreational activities, playing, working, house chores, and active transportation (e.g. biking to work or school). Being physically active on a regular basis will help reduce your risk of many diseases and health conditions such as, stroke, certain types of cancers, diabetes, high blood pressure, heart disease, and obesity. Even if you already have one or more of these diseases or conditions, regular physical activity can help you to better manage them. The key to starting and maintaining a physically active lifestyle is to start low and go slow! There are many fun things that you can do to be active—by yourself or with family or friends. The good news is that you don’t need to purchase a gym membership, or spend a fortune on exercise equipment to reap the benefits of increased activity. 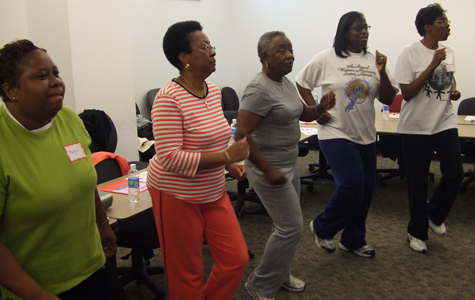 Finding simple, enjoyable activities that get your body moving is a great start to improving your health. You can build your strength and activity level by taking the stairs, parking a bit further away, dancing to music in your house, or even cleaning the house. No matter your age, health limitations, or fitness level, there are fun ways to use physical activity to make you feel better every day. The U.S. Department of Health and Human Services’ Be Active Your Way is a useful and interactive guide to help all American children, adults, and older adults become more active and promote health in a safe way! CLICK HERE to download the complete “Be Active Your Way” guide.